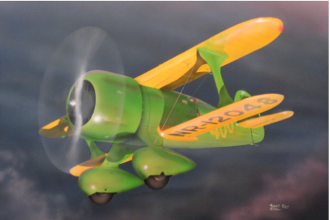 Manufacturer of Ground Adjustable Props & Accessories for Scale Model Aircraft! 1/32 Scale, Injected Molded Polystyrene Kit. Decals for 2 versions. Approx. Dimensions: Wingspan: 7-3/4" and Length: 6-1/2"
Solo Props, LLC © ALL RIGHTS RESERVED.